Preheat the oven to 400°F. Line a large cookie sheet with cooking parchment paper or foil. In a large bowl, toss together the melted butter, olive oil, garlic powder, salt and pepper until well coated. Add the Asiago cheese and breadcrumbs, toss again until the breadcrumbs adhere to the cauliflower. Spread the cauliflower onto the prepared baking sheet and sprinkle any remaining breadcrumbs left in the bowl over the cauliflower. 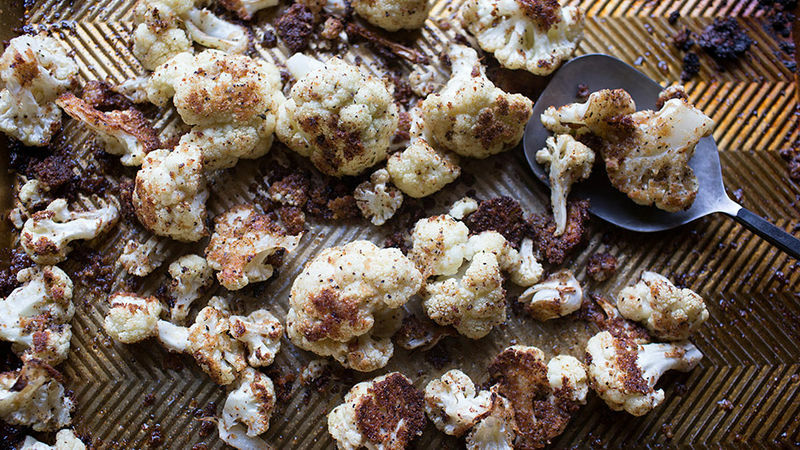 Roast for 15-20 minutes or until the cauliflower is tender and golden. Serve warm! If you don’t have Asiago cheese on hand, subtitute grated Parmesan or manchego cheese. This also works great with broccoli! One thing I’m consistently trying to figure out is just how to get my family to eat more vegetables. Steamed broccoli? Salad? It’s all just a little too boring for them. I mean, I get it. When given a choice between pasta and broccoli most people would go for the pasta. Green food can be a bit intimidating, except you gotta get your veggies in! Well, I have a KILLER veggie recipe for you… and it’s not even green! 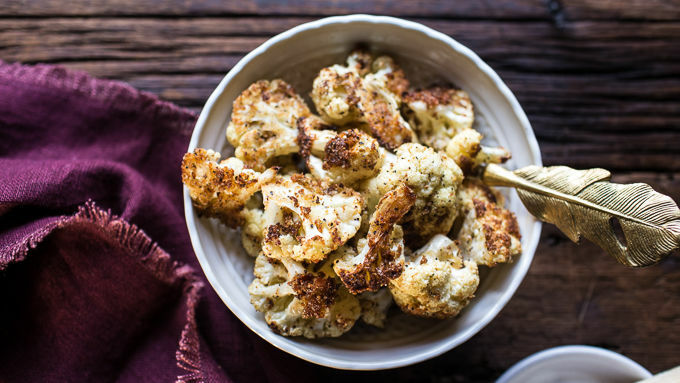 You can make this cauliflower as an appetizer, as a side dish, to snack on, OR you can even put it on your Thanksgiving menu. It’s such a great way to serve veggies. And so easy! Simply roast the cauliflower with a little cheese and breadcrumbs. 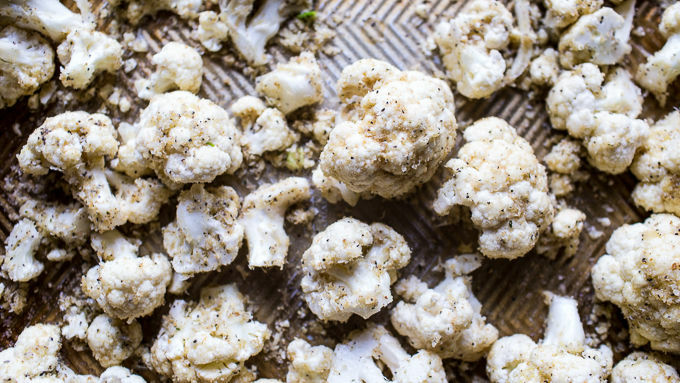 This cauliflower is perfect for any of your vegetable-hating, carb-loving family and friends. Before they even realize it, they’ll be converted veggie fans! Enjoy warm! Honestly, these are the ideal snack. Kind of like a healthy potato chip!